This is not just a feminist documentary, in actuality it’s a statement documentary about the basic rights to life. When I cued up Netflix to watch the “It’s a Girl”documentary, I had no idea what I was in for. I was not prepared for the opening story, the tale of a woman who had smothered all eight of her babies, because they were female. I was not prepared to come face to face with the horrors of the culture that is my own. 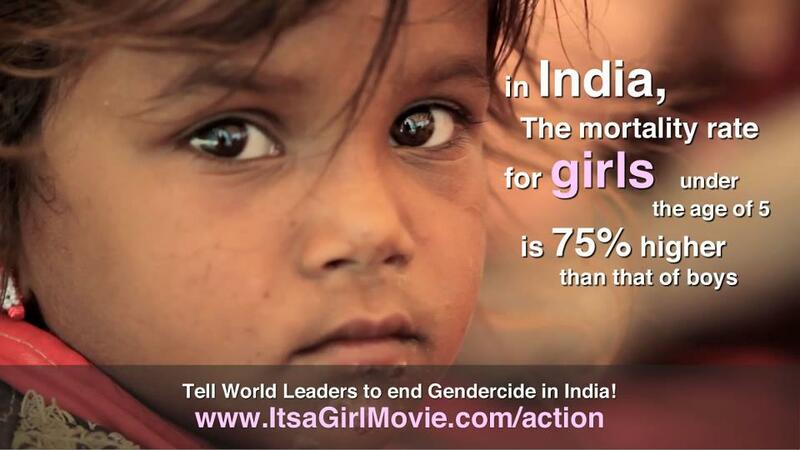 “It’s A Girl” is a documentary about gendercide and the hate crimes committed against females for simply existing. The film focuses on several issues in both China and India, such as feticide (the act of killing a fetus), forced abortion and sterilization, adoption, gendercide, dowry-violence, child trafficking and dowry deaths. Filmed from August 2010 until February 2011, “It’s a Girl” takes viewers to India and China and reveals the issues of gendercide where they are happening. Although it should be noted, that there are many countries which participate in the death of baby girls due to traditions that have been deep-rooted in culture and politics. The film shares the stories of girls that are abandoned, trafficked and suffering from violence. The 63-minute documentary also shows the contrast between mother’s who fight bravely to save their daughters and other mothers that would “kill for a son.” Along with the compelling documentation of woman struggling through gendercide, there are activists and global experts who put the stories into context, and talk globally about the effects of gendercide, as well as, commenting on the current lack of action when it comes to these crimes. The United Nations approximates 200 million girls in the world are missing due to gendercide and it’s related offenses. Girls that escape death at childbirth (or in some cases death before childbirth) are faced with neglect, extreme violence and will face death from their own families later on. “It’s a Girl” is a documentary that leaves viewers without the ability to say it will be “okay” in the end. I highly recommend this film to all genders and races. It not only gives the viewer perspective, but gets the ball rolling in creating a better world. I personally was moved by such a topic, as I am an adoptee from India. It was shocking to feel my own nonchalant attitude towards the issue as I watched. Was I so desensitized to the horror of the stories in India that I could not feel much more than a twinge of sympathy? No. I shed tears during the credits, and the tragedy hit me as the music quietly played in the background, because I knew then that there was no happy ending. However, that sentiment that I might become desensitized scares me. We must not become immune to the horrors of this world. 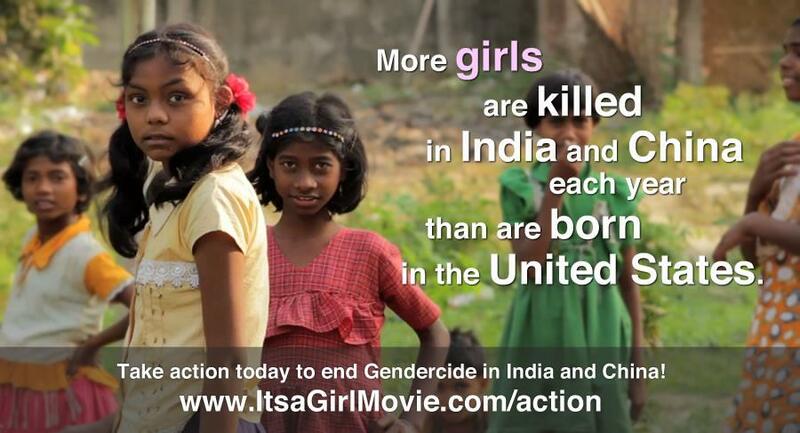 We must work to stop them, as “It’s A Girl”so strikingly portrays.